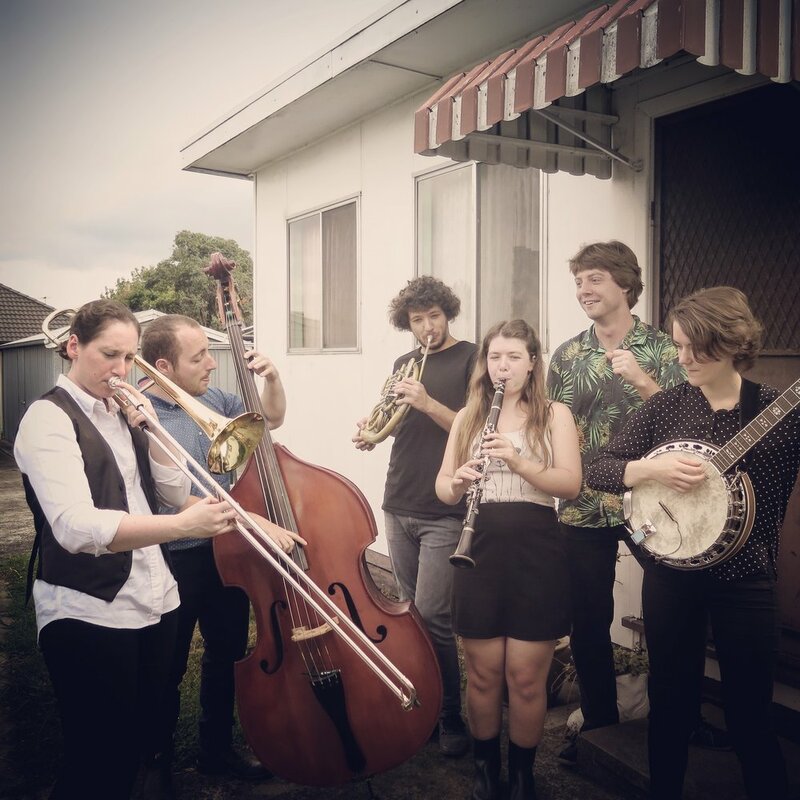 Jam Jar are a highly energetic Melbourne-based trad jazz band. With influences ranging from the masters, Louis Armstrong and Duke Ellington, to local bands The Red Onion Band and The Hoodangers, they combine the sounds of New Orleans and Melbourne in their upbeat repertoire of original songs and beloved standards. Their debut, self-titled album is a lighthearted commentary on the apathy and anxieties of modern life and a yearning for a romanticised past, all wrapped up in toe tapping tunes you can’t help but dance to.